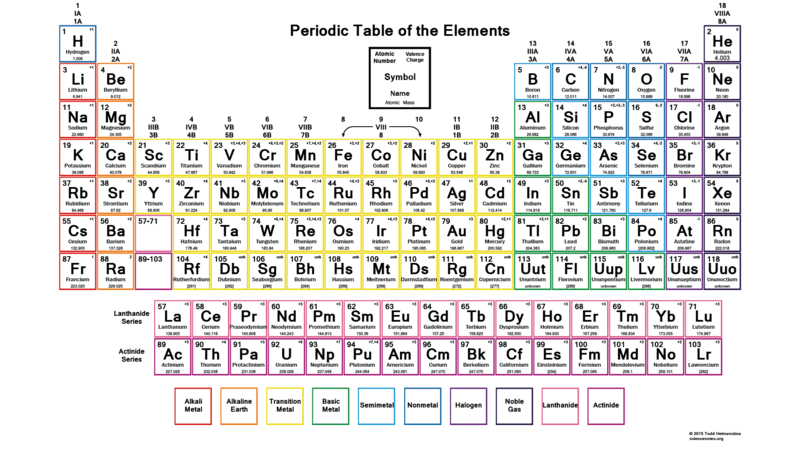 This color printable periodic table wallpaper is an updated version of the Downloadable Periodic Table – Element Charges. 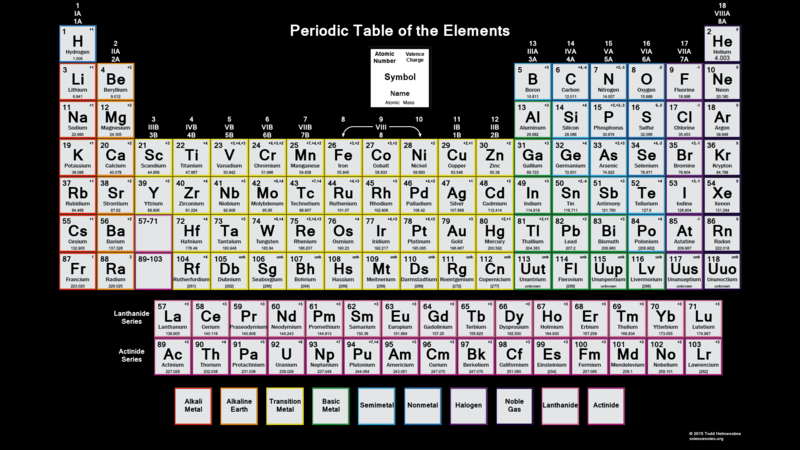 Each element cell contains the atomic number, symbol, name, atomic mass and most common valence charge of each element. Each brightly colored border represents a different element group. This table is available for download as a PDF file and printed for offline use. For best printing, choose Landscape and ‘Fit’ for the size option. The above image can be used as a widescreen (1920×1080) desktop wallpaper for your computer. Click the image to view the full size and save. There is a black and white version of this table for those without access to a color printer. If a darker desktop is prefered, the same table is available with a black background. Click the image to view the full-sized version. If you enjoy using a lot of toner or ink, download the PDF of the dark background table and print yourself a copy. Todd, These are great. Is it ok to use these images/files for teaching at a university? And if so, is there any credit we need to give beyond the copyright notice at the bottom of each?